Based on the hit 2001 film, Legally Blonde is a vibrant, fun and surprisingly meaningful musical that really has it all – catchy, well-written music, a witty script, loveable characters and of course two dogs. I was so excited when the Curve Theatre in Leicester announced they would be taking on a new production of the show and it certainly didn’t disappoint. Meet Elle Woods – your average blonde beauty living the Malibu dream. But when the love of her life dumps her for a ‘serious’ brunette, she chases him to Harvard Law School to prove she can match up, despite her hair colour. The first thing that strikes you about this production is how stripped back the set is. Before the action begins you are met with an empty, purely pink stage. There are some great pieces of moving scenery but it is largely minimalistic for a big stage musical like this. It’s a bold move that pays off – it highlights the performances on stage which is clever as the cast is one of the strongest I have seen in a while. Lucie Jones is a stunning Elle. Barely leaving the action, she is clearly a strong performer and her rendition of Legally Blonde was gorgeous. She creates an Elle you could really root for from the minute she stepped on stage. 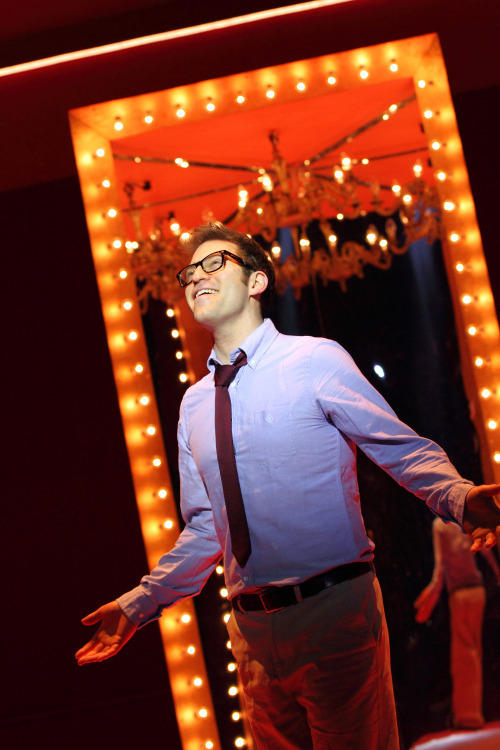 Playing opposite her Jon Robyns is a natural Emmett – funny, endearing and awkwardly charming. I am yet to see a role this guy can’t play, his talent runs deep. Chip on My Shoulder was a personal highlight of the entire show with it being the best rendition of that song that I’ve heard. With a multitude of fantastic actors it is difficult to pick out more performances. Phoebe Street’s Vivienne was fantastic and Natalie Woods was naturally comedic as Enid. Jamal Andreas and Martin McCarthy had me in stitches during Gay or European and Lawrence Rob’s roles of Fergus and Kyle were very slick. However Tupele Dorgu as Paulette was just perfect. Hilarious and electric, you can’t help but falling in love with her. There were a few tweaks and extras with this production compared to it’s previous Broadway and West End counterparts that all enhanced the show. On a personal level I was gutted that a favourite, the ‘Jamaican Me Crazy’ spring fling theme, was ditched for it’s Bollywood equivalent but it was still good. The skipping number made my jaw drop in awe and the lighting and staging were slick and hugely impressive. For a regional production you have to give the Curve’s Legally Blonde the utmost respect and a huge amount of credit. I sometimes had to remind myself that I wasn’t in the West End. It is playful, entertaining and satisfying to watch. 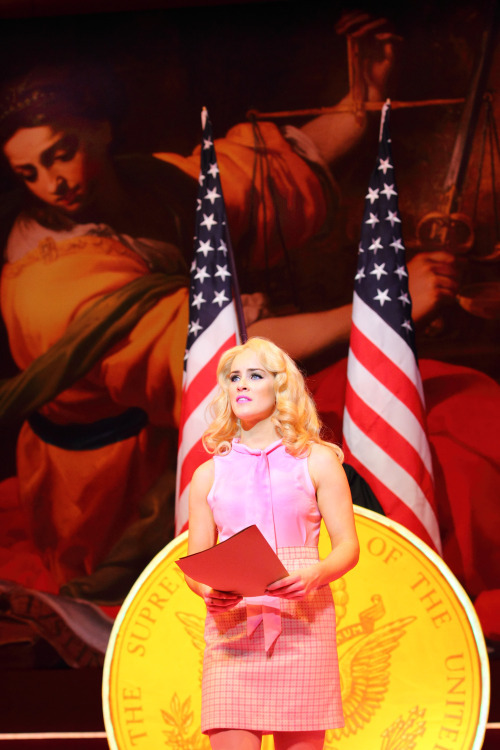 Legally Blonde is showing at Leicester’s Curve Theatre until Saturday 14th May. Tickets are available online. Previous Post Debate: I’m a ‘proper writer’, does that make my blog any good? I'm Rochelle, a 27-year-old blogger from South East London. 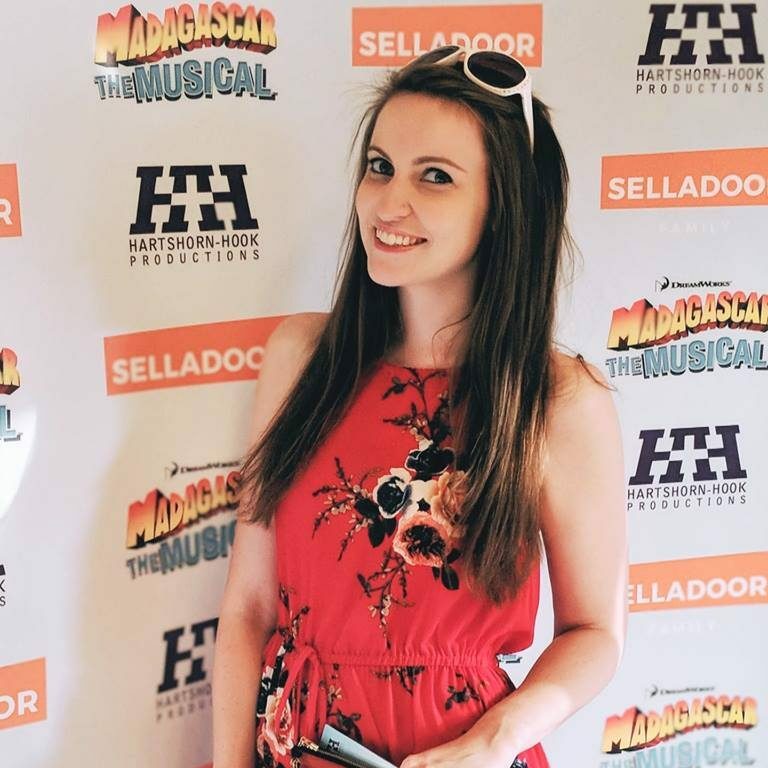 I specialise in writing about theatre and mental health, particularly anxiety and cleithrophobia. I'm always looking for new content and collaborations. If you'd like to work with me then please get in touch via the contact page at the bottom of the site.